The European Parliament in plenary meeting approved in a landmark vote on 24 October 2018 a target of 35% of mandatory recycled plastic by 2025 in beverage bottles. This binding target is part of the report led by Ms. Frederique RIES, Rapporteur for the ENVI Committee of the European Parliament (ALDE, BE), which amends the Single Use Plastics (SUP) Directive proposed by the European Commission. EuRIC strongly welcomes this landmark vote, which will boost the demand for recycled plastic in single use plastics. Members of the ENVI Committee of the European Parliament voted today on the Report amending the Single Use Plastics (SUP) Directive proposed by the European Commission. Led by Ms. Frederique RIES, Rapporteur for the ENVI Committee of the European Parliament (ALDE, BE), the Report set a target of 35% of recycled content in beverage bottles by 2025. EuRIC strongly welcomes this landmark vote and hopes that it be voted for later this month in plenary by all Members of the European Parliament. EuRIC has co-signed a joint letter with more than 50 organizations to urge the European Commission not to delay or minimize the Ecodesign and Energy Labelling Package. You can find more information about this initiative and download our joint letter here. EuRIC welcomes the initiative to take measures helping recyclers to get information on the substances contained in articles reaching their facilities at end-of-life but also points out some problematic aspects concerning this new legal requirement, such as the lack of retroactivity of the database or the fact that this won't include information on the concentration of SVHCs in the listed articles. EuRIC together with many other associations share their concerns in a joint paper about the impact of setting a disproportionately low unintentional trace contaminant (UTC) threshold (10 mg/kg) for decaBDE on plastics recycling and its consistency with the objective of moving towards a more circular economy. EuRIC and FEAD fully support the European Parliament’s draft report issued on 9th July to make it mandatory to produce beverage containers with at least 25% of recycled plastics by 2025. EuRIC and the cosignatories of this call to action welcome the commitments introduced in the European Commission's Plastics Strategy but point out the importance of introducing minimum recycled content requirements for selected products and packaging in order to ensure the continued movements of recyclables and provide an economic incentive to increase collection and treatment in Europe. EuRIC welcomes the proposal of the European Commission to recast the Regulation EC/850/2004 on persistent organic pollutants, in order to update it both to institutional and substantial changes which occurred since its adoption. Consolidation of existing EU law contributes to clarity and legal certainty. However, EuRIC would like to express its deepest concern for the proposal from the European Parliament to set, in Annex I of the EU POP Regulation, a limit regarding the “unintentional trace contaminant” for decaBDE at concentrations “equal to or below 10 mg/kg (0,001 % by weight) [i.e. 10 ppm] when it occurs in substances,mixtures, articles or as constituents of the flame-retarded parts of articles“. 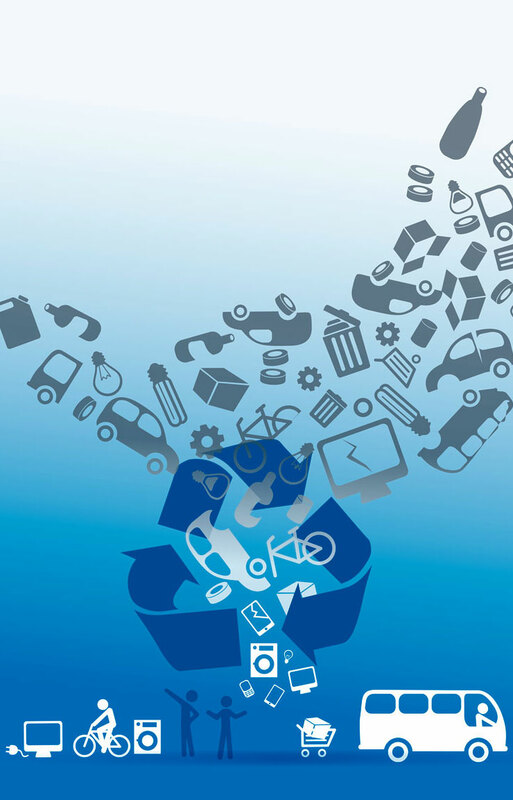 EuRIC, the European Recycling Industries’ Confederation, calls for different measures to tacke international trade issues related to paper recycling to move towards a more circular economy. FEAD and EuRIC welcome the publication of the Commission’s proposal related to single-use plastics, aimed at reducing their impact on the environment.